Watch this video to see how Compound words are made when two simple nouns are put together to make a new word. When this is done, it creates a word with multiple syllables. Sometimes we need to find the syllables in compound words. Words with multiple syllables have patterns. If we find the pattern, we can separate the word. 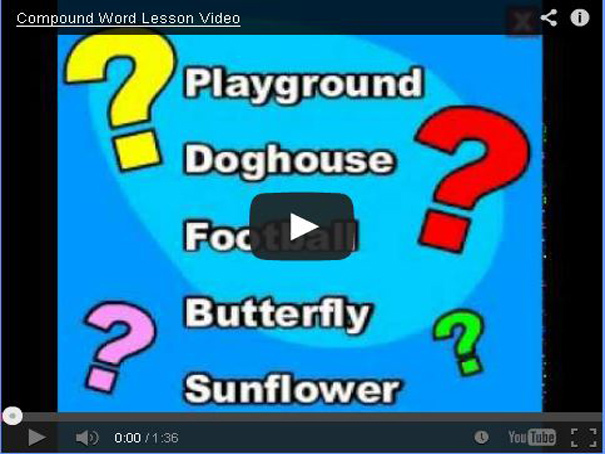 This video will help you practice compound words and syllables.